“I work with Rabbi Jason Miller and Kosher Michigan because it is a collaboration, not the usual uni-directional service provider relationship. In addition to the kosher certification, Rabbi Jason makes the extra effort to add value to my business by sharing connections and web social promotion. West Bloomfield – Visitors to Henry Ford West Bloomfield Hospital can now have a certified kosher meal in Henry’s, the hospital’s café. The new Kosher Korner is partnering with Kravings, a premier kosher restaurant in Oak Park, in an effort to provide kosher food options for patients, guests and staff. “At Kravings and Quality Kosher Catering we take great pride in providing quality glatt kosher food, primarily on the on the east side of Oakland County. Now, with the opening of our Kosher Korner at Henry Ford West Bloomfield Hospital, we’re excited to bring the same delicious meals to the west side,” says Daniel Kohn, owner of Kravings. All food items are prepared fresh daily at Kravings and are under the certification of the Star-K certification agency, with Kosher Michigan serving as a consultant to the hospital. Recent offerings in the Kosher Korner include sandwiches, salads, and sushi. The food selection in the kosher menu also meet the dietary needs of individuals following the practice of halal. Henry Ford West Bloomfield Hospital is located at 6777 W. Maple Road in West Bloomfield. The theme of 28-year-old Daniel Kohn’s newly opened Oak Park restaurant can be summed up with one menu item that blends contemporary Americana with Old World traditions — the brisket burger. Kravings, the brainchild of the Ritz-Carlton alumnus and third-generation caterer, is certified kosher, but it focuses instead on its healthy, quality ingredients and dishes made from scratch. The menu is chock-full of items that would surprise his late grandmother, who founded Quality Kosher Catering in 1968, such as portobello mushrooms, “bacon” made from cow rather than pig and sushi that’s shtetl meets Shogun. Metro Detroit is in the middle of a kosher boomlet. In addition to Kravings, a kosher steakhouse, Prime 10, opened about a block away and downtown Detroit saw the return of Chef Cari’s the Spot in the revolving lineup of pop-ups at Campus Martius this summer. Proprietor Cari Rosenbloom is planning a kosher vegetarian restaurant downtown by the end of the year. The laws of kosher, based on the Hebrew Bible and further elucidated by the Talmud, are extensive; Jews, many of them Orthodox, adhere to these rules, such as not eating meat products and milk products together; shellfish and other fish without fins and scales; the meat of animals that don’t chew their cud and have split hooves, such as pigs and horses; bugs in produce, and eggs with blood spots in them. Meat and fowl must be slaughtered with a special ancient ritual. Specially trained kosher experts, called mashgichim (mahsh-GEE-chim), supervise slaughterhouses, dairy farms, restaurants, industrial food companies, bakeries and other commercial and retail sites to make sure all processes and ingredients are OK. Certifying agencies are both national, like the Orthodox Union, which puts the OU on Coca-Cola, and local,like the Council of Orthodox Rabbis of Greater Detroit. “Many people consider kosher is cleaner and with an extra level of supervision. Things don’t get in,” said COR chairman Rabbi Doniel Neustadt. Kosher is a $12.5-billion industry in the U.S., according to the most recent data by Mintel, a market research firm that tracks the field. The report says that the major reasons for purchasing kosher food is food quality (62%) or general healthfulness (51%). Thirty percent cited religious observance; 14% follow kosher rules; 10% follow some other religious rules with eating restrictions similar to kosher, and 6% follow halal rules. Others cited ethical reasons and allergies. Rabbi Jason Miller, who founded the certification agency Kosher Michigan in 2008, agreed that kosher makes good business sense. “More people are taking on a kosher diet, both Jews and non-Jews and business owners have also found that kosher certifications have increased their sales,” he said. Fishkoff credits the growing number of Jews embracing the kosher lifestyle after spending the first part of their lives developing sophisticated non-kosher palates for the boom, plus many of today’s kosher restaurateurs come from the wider culinary world, too. Rosenbloom, who trained in New York City in what is today called the Natural Gourmet Institute, pointed to her abridged Campus Martius menu, including falafel, chicken shawarma and Belgian-style fries — and her mostly non-kosher-observant customers. And in metro Detroit, which is home to a huge Muslim population, kosher can pinch-hit for halal, when the latter isn’t available, according to Dawud Walid, executive director of the Michigan chapter of the Council on American-Islamic Relations. The tenets of halal, which means permissible in Arabic, outline what practicing Muslims may eat; for example, no pork, carnivorous animals, bugs or alcohol. One downside to kosher restaurants is their prices are higher; all that extra supervision, be it at the eatery or farther up the line at the commercial plant that makes the ingredients, gets passed along. Neither Neustadt nor Miller would discuss their organizations’ fees. Rabbi helps meet demand for Kosher products. Rabbi Jason Miller launched Kosher Michigan, (KM), to help bring Kosher products to market. Miller works with restaurants, bakeries and manufacturers.His is the first kosher certification agency owned by a non-Orthodox rabbi to have a booth and exhibit at Kosherfest. He was an exhibitor at the 2013 trade show in Secaucus, NJ, Oct. 29-30. Kosherfest marked its 25th anniversary as an annual meeting and trade show and product resource for the kosher trade industry: supermarket, restaurant and foodservice buyers. Attendees to Kosherfest represent a broad spectrum of the industry, from chain and independent restaurants, caterers and specialty markets, to grocery/supermarket, big box and club chains, independent retailers, manufacturing ingredient buyers, distributors and buying agents, among many other industry professionals. Kosher Michigan was a co-exhibitor with Excalibur Seasonings, a large spice company in Pekin, Illinois that has been certified by Kosher Michigan for the past few years. Miller started Kosher Michigan in 2008 to promote the observance of the Jewish dietary laws. KM is endorsed by the International Rabbinical Assembly and under the rabbinic advisement of Rabbi Joel Roth, a world renowned kashrut expert. People of all faiths are purchasing kosher food for health and safety reasons. Additionally, people are purchasing kosher food for lifestyle and dietary reasons such as vegan, vegetarian, and lactose-free. There are more than 400,000 kosher certified products in the United States. Kosher Michigan, 5657 W. Maple Road, Suite B, West Bloomfield Township 248-535-7090, koshermichigan.com. This Thanksgiving marks a first at Margo Grossman’s home: Menorah candles will burn while latkes as well as blue-and-white Star of David-shaped sugar cookies accompany heaping portions of turkey, mashed potatoes, pumpkin pie and other dishes. Thursday is the national holiday honoring the Pilgrims’ harvest with help from the Wampanoag American Indians in the 1600s. It’s also the first full day of Hanukkah, the eight-day Jewish holiday that commemorates emancipation from religious persecution in the second century B.C. By some calculations, this is the first time since 1888 Thanksgiving and the start of Hanukkah have fallen on the same day. And, according to a Chabad.org article, the two holidays would next coincide in 2070. To traditionalists and grateful diners alike, the unusual occurrence this year — Hanukkah begins at sundown today — links national history with spiritual heritage. “It really highlights the fact that the Jewish-American community is American,” said Rabbi Steven Rubenstein of Congregation Beth Ahm in West Bloomfield Township. To some, the holidays share similarities. Having fled Europe seeking economic viability and freedom to practice their religion, the pilgrims faced enormous challenges — including the threat of death from disease and starvation — adapting to a tough new terrain, said the Rev. 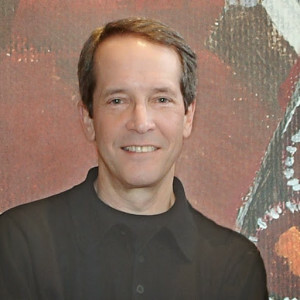 John Staudenmaier, a history professor at the University of Detroit Mercy. Hanukkah — also known as the “Festival of Lights” — marks the victory of the Maccabees and their allies over Syrian forces, allowing them to recapture the desecrated Jewish Temple in Jerusalem. It also recalls the belief that a single day’s supply of lamp oil miraculously lasted eight full days during the temple’s rededication. While non-Jews have associated Hanukkah, which often has fallen in December, with Christmas, this year the proximity to Thanksgiving and the holidays’ related themes seem more sensible. With the overlapping observances in mind, some are creatively mixing traditions. 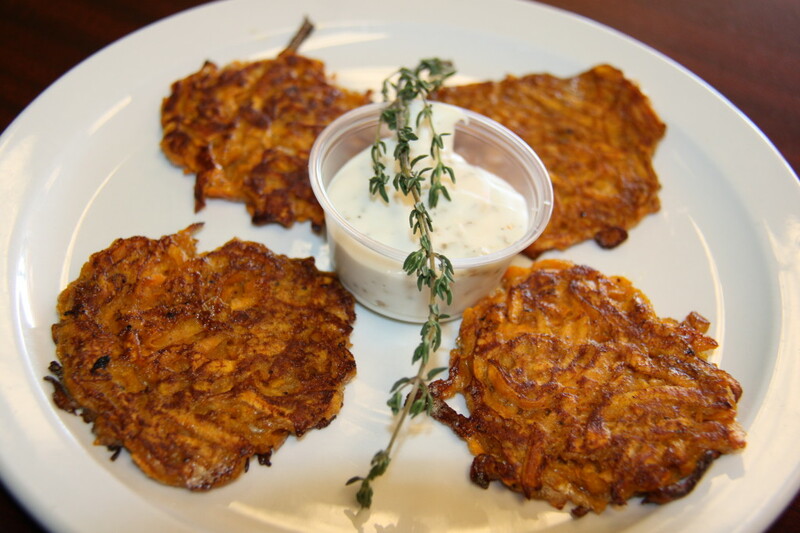 Rabbi Jason Miller of Kosher Michigan, a certification agency, and Patrick Coleman, owner of the Southern Nosh restaurant in Southfield that serves kosher vegetarian items and soul food, created a sweet potato latke. A traditional Hanukkah item, latkes typically are cooked with potatoes and oil. But the Southern Nosh version uses a sweet potato — a popular ingredient in African-American and soul food kitchens, Coleman said. Since adding them to the menu this month, cooks have averaged about a dozen orders a day, he said. The day after lighting the first candle in their menorah for Hanukkah, Lisa Soble Siegmann of Bloomfield Hills and her family plan to visit a relative’s home in Ohio for turkey, latkes, cranberry sauce, challah stuffing, pecan and chocolate gelt pie; games with dreidels, the four-sided spinning tops; and songs extolling both holidays. “It’s going to be a night of fun and family and being together,” she said. For Leah Gawel’s family in Novi, the convergence is more of a curiosity. After a feast complete with latkes Thursday, they will light the menorah and let their children open gifts. Holiday decorations — colored lights, a banner — adorn their home. Partly to accommodate those celebrating Thanksgiving, organizers of the third annual “Menorah in the D” plan to hold the public lighting of the 24-foot-tall steel/glass menorah and the related community party in Detroit’s Campus Martius next week, said Rabbi Kasriel Shemtov of the Shul-Chabad Lubavitch in West Bloomfield Township. The ceremony usually occurs earlier during Hanukkah. Some of the coordinators also are expected to display a dreidel-shaped mobile and distribute tin menorahs along with chocolate coins during America’s Thanksgiving Parade on Thursday, said Ben Rosenzweig, a member of the Shul. Supplying clients with high quality products since 2006, Spice Thyme International has lived up to chefs’ common idealism that “you’re only good as your last dish (or pound).” The company offers some the lowest prices on cooking spices for food service and bulk customers, which are all processed in the United States and guaranteed to complement well the most selective palates. As one of the premier suppliers of the best and most exotic spices in the world, Spice Thyme International currently operates two purchasing divisions, catering to the needs of small to large enterprises respectively. Whether you’re a small dinner, commercial kitchen or a manufacturer, the wholesale spices company promises to be always ready and excited to fit your business needs. With online ordering available, clients can conveniently purchase anytime and anywhere despite their very busy schedules. Only recently, Spice Thyme International has offered wholesale price structures for wholesale and food service. Products are now available for distributors looking to resell the Food Service spice division. Browse their huge catalog on spices and herbs division that includes chilis, herbs, peppers, spice blends, spices, sea salts and more. Certified Kosher under the supervision of Kosher Michigan, Spice Thyme International’s spices and other products are manufactured and processed under the strictest safety standards. All products are tested for yeast, mold and many other toxic elements. The Quality Control department carries out specialized testing through its in-house operations and outside third-party laboratories. Certificates of analysis are made available and downloadable from the company website. Spice Thyme International makes ordering as simple and cost-effective as possible. The company houses a qualified staff to make sure that clients receive some of the highest quality spices at the most competitive pricing to its customers throughout the United States and other countries around the world. Orders can be as flexible as purchasing a few cases to huge pallet quantities. For special volume rates, you can contact the company via e-mail. Prices and shipping rates are available by phone or creating an account online. Michigan’s premier Specialty Food Show bestows award to The Gluten Free Bar. The Start-up To Watch Award was given to Marshall Rader during the Making it in Michigan Specialty Food Trade show on November 12, 2013, held at the Lansing Center in Downtown Lansing, Mich. An award ceremony was held during the lunch hour honoring the company for the successful introduction of gluten free protein bars. The company has distribution in 650 Midwest stores, and national presence with eight distributors. The company has experienced tremendous growth. The award ceremony inculded an introduction video and award presentation. The event was free to attend and was held at the Lansing Center in downtown Lansing, Mich. The Gluten Free Bar partner team includes Marshall Rader, President; Elliot Rader and Ben Wahl, Vice-Presidents; and Jeremy Sher, R&D Director. Partners operate with a clear division of duties from Michigan and Seattle, Wash. and manufacuture the product at their plant in Ada, Mich.
Their product line includes a protein bar in four flavors and protein bites in three flavors. All bars are certified gluten-free by GFCO, certified vegan by Vegan Action, certified kosher by Kosher Michigan, and GMO free. In late 2013, The GFB will introduce soy-free bars, further enhancing their appeal in the gluten-free and allergen-friendly marketplace. Their motto, “believe in a better bar” reflects their commitment to meeting the needs of millions of gluten-intolerant individuals with a tasty, nutritious and convenient product. The company was launched in 2010 and today is sold in over 650 stores in the Midwest and in national distribution through eight distributors. Internet sales constitute 10 percent of total sales. They are experiencing a 300 percent compounded annual growth rate. The business employs 11 workers, up from 3 at launch. In addition to producing their own product line, they operate a separate private label and co-packing business. The company’s web site is professionally developed and maintained. It includes extensive information about the products, reviews, store locations, a blog and online ordering. They utilize search engine optimization, ad words and are pro-active with bloggers. The Gluten Free Bar executives operate with clear vision and measurable goals. They recently conducted a strategic planning process and business plan update as part of their initative to accommodate general growth and expansion. The company is a contributor to the local food bank and the company supports the National Foundation for Celiac Awareness. The Gluten Free Bar and the officers of the company received one of four separate awards. All of the award winners were recognized as part of the Making it in Michigan, the only premier specialty food trade show in Michigan. The trade show is a compilation of a marketplace for producers to sell their products to grocery buyers, an educational component that delivers classes from marketing to regulation and a formal conference and expert speakers. This year’s keynote speaker was Tim McIntyre from Domino’s Pizza. The event was hosted by Michigan State University and the MSU Product Center, partner ofMichigan State University Extension and MSU AgBioResearch. This article was published by Michigan State University Extension. For more information, visit http://www.msue.msu.edu. To contact an expert in your area, visit http://expert.msue.msu.edu, or call 888-MSUE4MI (888-678-3464). West Bloomfield, MI – Rabbi Jason Miller, the founder and director of Kosher Michigan, knew that it would be big news that the first day of Hanukkah was going to fall on Thanksgiving this year. In an effort to have a special food item dedicated to what is being called Thanksgivukkah, he contacted Patrick Coleman, a local Detroit restaurateur who owns Beans & Cornbread and Southern Nosh (29540 Northwestern Highway, 248.352.1682), both in Southfield, Michigan. 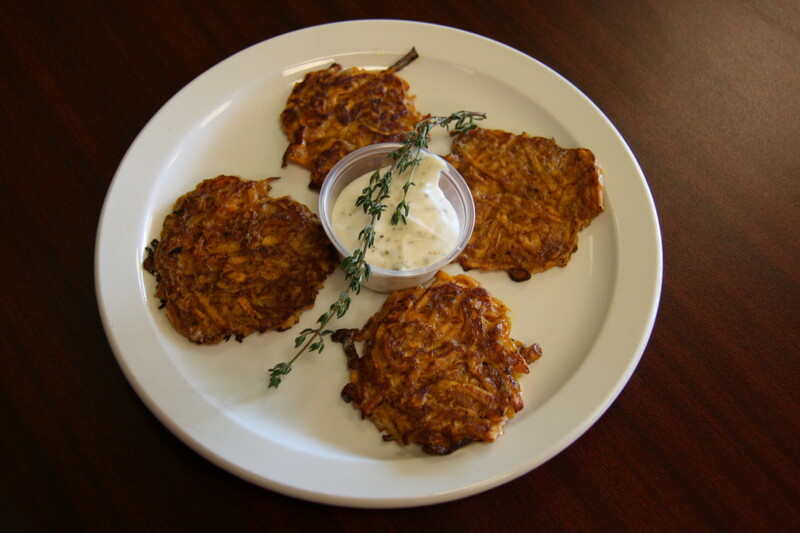 Together, Miller and Coleman came up with the idea of a Thanksgivukkah Sweet Potato Latke. The dish is gluten free and is served with a garnish and either house-made applesauce or a vegan sour cream with herb garlic and pepper seasoning. “Hot sauce is optional,” says Coleman. 1. Place sweet potatoes in a colander. Place a cheesecloth over the potatoes, and squeeze the potatoes to release as much liquid as possible. Let the potatoes sit to release more liquid, then squeeze again. 2. In a large bowl, combine sweet potatoes, eggs, brown sugar, flour, cloves and cinnamon; mix well. 3. Heat oil in large heavy skillet to 375 degrees F (190 degrees C). 4. Form mixture into pancake size cakes, and fry in hot oil. Flip cakes after 2 to 3 minutes (when bottom is browned) and brown other side. Drain on paper towels, and serve piping hot! Kosher Michigan certifies Southern Nosh Vegetarian Soul as a kosher restaurant. Kosher Michigan was founded in 2008 by Rabbi Jason Miller to promote the observance of the Jewish dietary laws. KM is endorsed by the International Rabbinical Assembly and under the rabbinic advisement of Rabbi Joel Roth, a world renowned kashrut expert. Rabbi Miller seeks to increase the availability of kosher products as well as to keep the cost of kosher products at affordable prices. KM provides kosher certification to Southern Nosh and over fifty other businesses. Both Rabbi Miller and Mr. Coleman are available for interviews. New York— It’s a turkey. It’s a menorah. It’s Thanksgivukkah! An extremely rare convergence this year of Thanksgiving and the start of Hanukkah has created a frenzy of Talmudic proportions. The last time it happened was 1888, or at least the last time since Thanksgiving was declared a federal holiday by President Abraham Lincoln, and the next time may have Jews lighting their candles from spaceships 79,043 years from now, by one calculation. Songs have popped up with lyrics like these from “The Ballad of Thanksgivukkah”: “Imagine Judah Maccabee, sitting down to roast turkey and passing the potatoes to Squanto …” Rabbi David Paskin, the song’s co-writer and co-head of the Kehillah Schechter Academy in Norwood, Mass., proudly declares his the Jewish day school nearest Plymouth Rock. Some observers in Metro Detroit say the convergence means Hanukkah, which often has fallen close to Christmas, could this year absorb the flavor of Thanksgiving. “Because of Hanukkah’s usual proximity to Christmas, it’s taken on this gift-giving culture. So it’s possible that this year, because of it coinciding with Thanksgiving, there might be more of a focus on being thankful … for what you have,” said Rabbi Jason Miller, director of Kosher Michigan and based in West Bloomfield Township. Let’s not forget the food mash-ups commemorating the staying power of the Pilgrims and the fighting prowess of the Jews, along with the miracle of one night’s oil lasting eight days. Pumpkin latkes, apple-cranberry sauce and deep-fried turkey, anyone? “It’s pretty amazing to me that in this country we can have rich secular and rich religious celebrations and that those of us who live in both worlds can find moments when they meet and can really celebrate that convergence. There are a lot of places in the world where we would not be able to do that,” Paskin said. The lunisolar nature of the Jewish calendar makes Hanukkah and other religious observances appear to drift slightly from year to year when compared to the U.S., or Gregorian, calendar. But much of the intrigue over Hanukkah this year is buried deep in the history of Thanksgiving itself, which hasn’t always been fixed in the same spot. That caused some initial confusion over Thanksgivukkah. In 1863, Lincoln declared Thanksgiving as the last Thursday in November (the month sometimes has five of those) and the holiday remained there until President Franklin D. Roosevelt signed a joint resolution of Congress fixing it as the fourth Thursday, starting in 1942. Since 1863, Thanksgiving and the first full day of Hanukkah on the Gregorian calendar have not overlapped. Jewish practice calls for the first candle of eight-day Hanukkah to be lit the night before Thanksgiving Day this year, so technically Thanksgivukkah falls on the “second candle” night. Jonathan Mizrahi, a quantum physicist at Sandia National Laboratories in Albuquerque, N.M., puzzled on the convergence last January, in a blog post with buzzed-about line graphs picked up by others online. More than 100,000 people have visited the blog since then, he said, including some who questioned his calculations and prompted him to post a couple of clarifications. He hadn’t made it clear that he was referring to the “second candle” night of Hanukkah, and he hadn’t realized Thanksgiving had shifted from the last to the fourth Thursday of November. While the whole thing is lots of fun, is there anything truly cosmic happening here? Well, there’s Comet ISON, which is set to pass close by the sun on Thanksgiving and may provide a nice show — possibly even during daylight. Or not, since comets can’t always be counted on. In his family-owned pet supply store, Palmer learned that pet food for families who keep a kosher home didn’t have to be kosher (meat and dairy still can’t be mixed), but that there are some restrictions during the eight-day Passover holiday that kicks off at the end of the March. Last year he read an article about kosher for Passover pet food on the Star-K kosher certification agency’s website, but still had some questions. He asked Rabbi Jason Miller, the director of Kosher Michigan, to visit the store and educate him. That initial introduction led to a nice friendship with the rabbi and this year Premier Pet Supply will offer certified kosher for Passover pet food approved by Kosher Michigan. It’s the first store of its kind in Michigan to offer kosher-certified products for Passover. The store is located on the west side of Southfield Road, just north of 13 Mile.